A glimps into my life…. Vintage Blogging! LaughingLady on A glimps into my life…. Vintage Blogging! Heather on Does having a “WORD” for the year make a difference?? K on Does having a “WORD” for the year make a difference?? 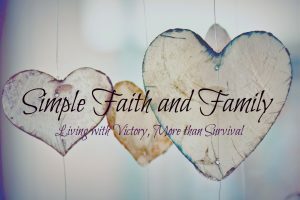 Copyright © 2019 Simple Faith and Family.